This collection of papers takes linguists to the leading edge of techniques in generative lexicon theory, the linguistic composition methodology that arose from the imperative to provide a compositional semantics for the contextual modifications in meaning that emerge in real linguistic usage. 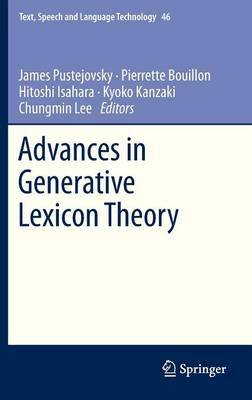 Today's growing shift towards distributed compositional analyses evinces the applicability of GL theory, and the contributions to this volume, presented at three international workshops (GL-2003, GL-2005 and GL-2007) address the relationship between compositionality in language and the mechanisms of selection in grammar that are necessary to maintain this property. The core unresolved issues in compositionality, relating to the interpretation of context and the mechanisms of selection, are treated from varying perspectives within GL theory, including its basic theoretical mechanisms and its analytical viewpoint on linguistic phenomena.